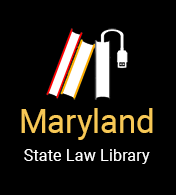 In Maryland, an individual may not use a text messaging device to write, send or read a text message or an electronic message while operating a motor vehicle in the travel portion of the roadway. A “text messaging device” means a hand-held device to send a text message or a electronic message via a short message service, wireless telephone service, or electronic communication network. The prohibition does not apply to the use of a global positioning system or the use of a text messaging device to contact a 9-1-1 system. Illegally texting while driving is a primary offense, meaning that a police officer can stop a driver and enforce the law even if the driver is not committing any other offense. The specific rules governing the use of wireless telephones while driving depend on various factors, including the age of the driver. Drivers under the age of 18 may not use a "wireless communication device" (a handheld or hands-free device used to access telephone service) while driving, except to contact 9-1-1. Doing so is a primary offense, meaning that a police officer can enforce this law even if the driver is not committing any other offense. When a vehicle is in motion, an adult driver may NOT use his/her hands to use a handheld telephone, other than to start or end a call, or to turn the telephone on or off. Adult drivers may use handheld telephones for "emergency use," including calls to 9-1-1, a hospital, an ambulance, a fire department, a law enforcement agency, or a first aid squad. This law does not apply to certain law enforcement and emergency personnel, or to certain commercial operators using "push-to-talk" technology. Illegal use of a handheld telephone is a primary offense, meaning that a police officer can enforce this law even if the driver is not committing any other offense. Edited by Amanda Downs Frizzelle, Esq.